A new study that is in press on line in the Journal of Urology addresses, very reasonably, the question of whether using targeted biopsy methods based on multiparametric MRI (mpMRI) data is improving our ability to accurately assess patient’s Gleason grades and scores prior to decisions about treatment. According to the abstract of this new paper by the French clinical research team (Lanz et al., based in Paris), the answer appears to be a definitive “Maybe”. The study data are based on the biopsy findings and the subsequent pathological findings from a series of 125 consecutive patients at the Cochin Hospital in Paris, all of whom were treated by radical prostatectomy for clinically localized prostate cancer diagnosed through the use of systematic biopsies and mpMRI/TRUS targeted biopsies based on the results of prior mpMRIs. Suspicious areas observed on the mpMRIs were all graded according to the recommended PI-RADS criteria. 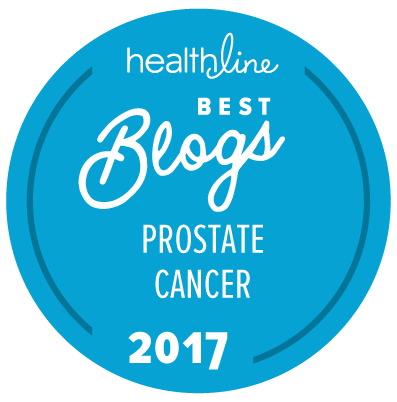 A score of 1 means that clinically significant prostate cancer is highly unlikely to be present. A score of 2 means that clinically significant prostate cancer is unlikely to be present. A score of 3 means that the presence of clinically significant prostate cancer is equivocal. A score of 4 means that clinically significant prostate cancer is likely to be present. A score of 5 means that clinically significant prostate cancer is highly likely to be present. 230 tumor foci were detected among the 125 patients based on the post-surgical radical prostatectomy specimens. mpMRIs had detected 151 suspicious areas of prostate tissue prior to biopsy in 115/125 patients. The maximal Gleason score was accurately determined in 80 patients. allowed for an accurate estimation of Gleason score in more than two third[s] of patients. Gleason score misclassification was mostly due to a lack of accuracy for the determination of the secondary Gleason grade. The above comments are provided based on the abstract of this paper alone (which is already available on PubMed). The full text of this paper is embargoed by the Journal of Urology until it has been edited, at which time we aim to provide a more detailed analysis. I’m scheduled to get a 3T MRI next week, so I found this posting very useful. thanks! Wondering how MRI negative predictive value relates to this positive predictive value? A May 2015 paper by L. Klotz references a 2012 study finding a 97% NPV for MRI in about 300 active surveillance candidates, although he notes this requires validation. I presume accuracy of NPV is more pertinent than PPV. The answer may be in the full text of the paper, but this is still under embargo since it has yet to be edited for publication. It would not be correct to “presume accuracy of NPV is more pertinent than PPV.” The consequences of an inaccurate positive finding (when the patient was actually negative) could, in theory, be just as devastating as the consequences of an inaccurate negative finding when the patient was actually positive. Seems like a false negative would be more problematical than a false positive. A negative MRI would presumably end the matter, at least for the intermediate future, whereas a positive MRI would lead to a targeted biopsy which would reveal the false positive. An unrecognized clinically significant false negative could thus be far more consequential if a treatment window were missed. Or so it appears from my understanding. Cliff … Not if you had a false positive result and then died of sepsis as a consequence of an unnecessary biopsy that “went wrong.” These things do happen! I thought maybe you had in mind the angst one goes through on getting a positive diagnosis, but, yeah, infection is a tangible risk. A doctor friend of mine said one of his colleagues had a biopsy because of elevated PSA, which was negative. However, the guy landed in the hospital, part of it in ICU I think, due to a bad infection, but survived. Be interesting to know the relative risk of that compared to a false negative MRI. Infection can obviously take you out a lot quicker. Just a reminder, in case you wish to act on it. You said you aim to provide a more detailed analysis when the full paper is available — and it is now available.